Do you feel stuck? Blocked? Trapped? Aware of old patterns but unable to shift them? Wanting to ‘raise your vibrations’ while having no idea how to? 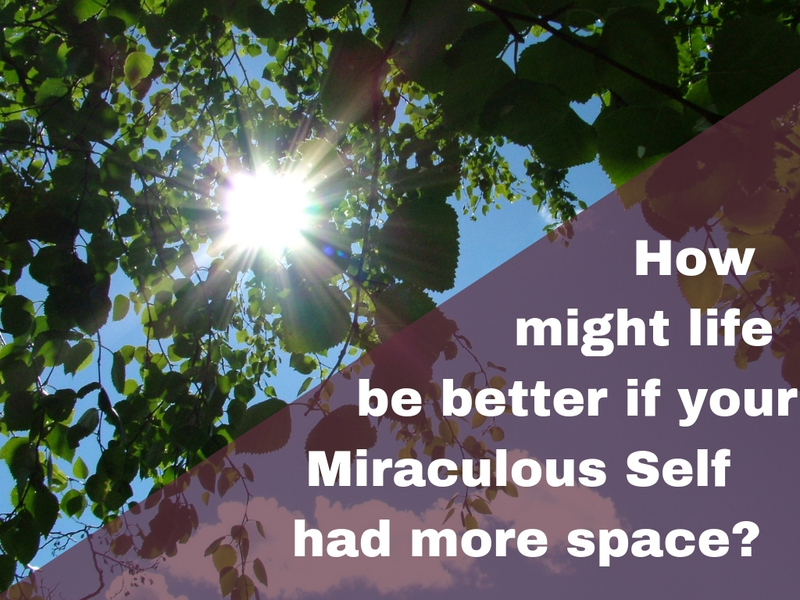 How would you like to connect with your Miraculous Self*? That part of you that KNOWS your next best step? To reconnect with that inner knowing and peace and ease around your life as a whole as well as specific areas and relationships? share my impressions in case they have any resonance for you – you know yourself best. I am simply sharing whatever has emerged during the work in case it is helpful. We’ll then talk, including some coaching and, if you would like, do a crystal or card (Goddess, Moon, Angel, Earth Magic or Tarot – you can choose from the decks pictured below depending on what you’re most drawn to) reading to help you gain additional insights around your issue. Again, as with all my work, this is collaborative so I’ll encourage you to tune in and connect with your own insights. I am not a fortune teller! It’s a way of working with the unconscious mind and this wise, intuitive part of yourself to help you heal and flourish more freely. After our session/s, you can use what you’ve learned to practice and grow in confidence about trusting and working with your own intuition and Miraculous Self. It’s a different kind of Self Care Coaching. After our session/s, I encourage you to drink lots of water, rest, reflect, journal and be open to additional insights, intuitions and guidance from your Miraculous Self (noted here so you can book yourself some extra time for gentleness afterwards). *I trained in Energetic NLP (click HERE) with its creator Art Giser many years ago and loved it so much, I still incorporate some into my morning meditations (if you sign up for my free mini meditation below, you’ll get a taste of it there). Art coined the term Miraculous Self but you may also be familiar with the idea of a Higher Self, or, in psychosynthesis terms (click HERE) Self with an upper case S. Essentially, it’s that part of us that, when we listen, helps us make those amazing decisions, to connect with our inner genius, go with the flow with guidance, ease and grace. To book, please email me – eve@selfcarecoaching.net – to arrange a mutually convenient time. No refunds. Sessions can be postponed at no extra cost as long as they fall outside my general 48 hours cancellation policy. 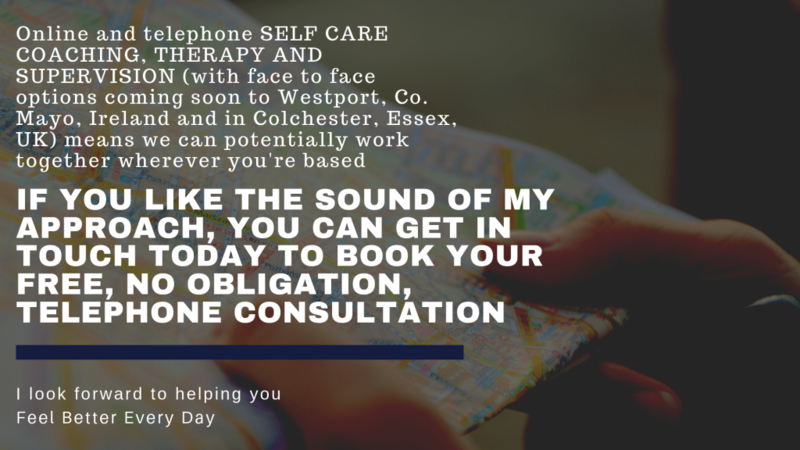 If you want to contact me before by email or phone, we can chat to see if you want to go book but unlike my other counselling, coaching and supervision services, you can, if you want, book without that initial telephone consultation. Whatever you feel most comfortable with.